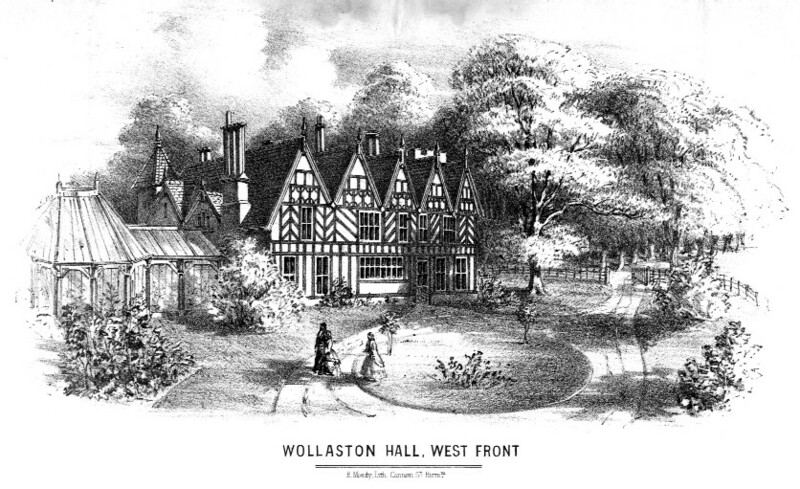 The precise location of Wollaston Hall has sometimes been the subject of conjecture. This map shows the exact position of Wollaston Hall in relation to the later street pattern. 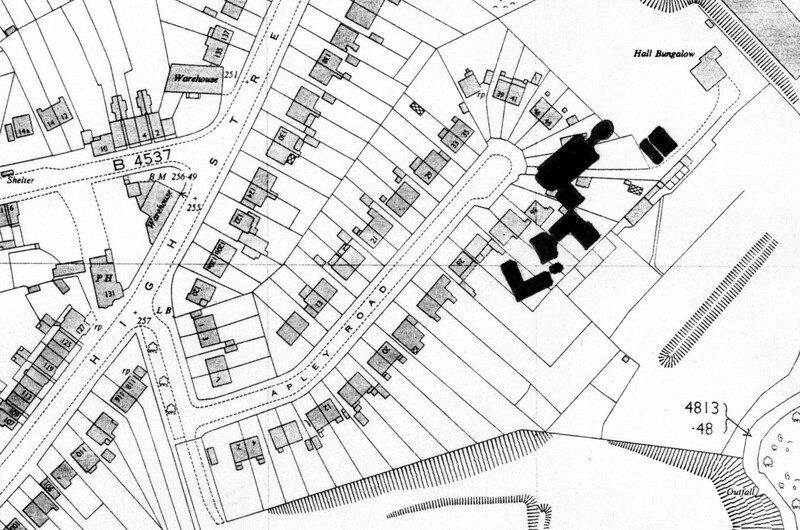 It stood opposite the end of Vicarage Road, in a location that corresponds to that occupied in 2003 by Nos 42-38 Apley Road, with adjoining buildings that stood in what are the back gardens of Nos 36-30 Apley Road.